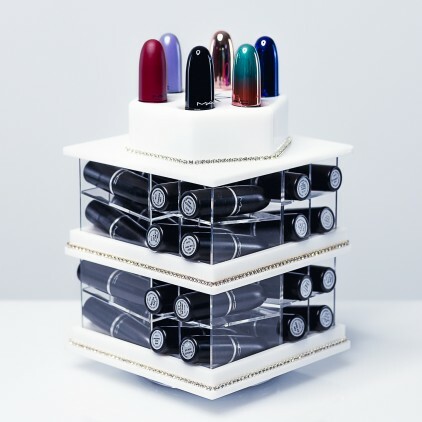 A pivoting lipstick tower is an accessory that is both practical and decorative. 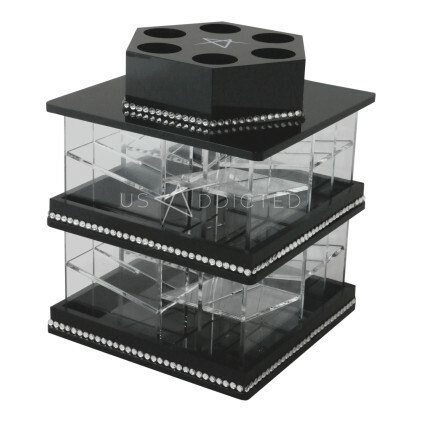 Measuring 142 x142 x179 mm, this lipstick rack will not take up a lot of space and can be used as a makeup corner. 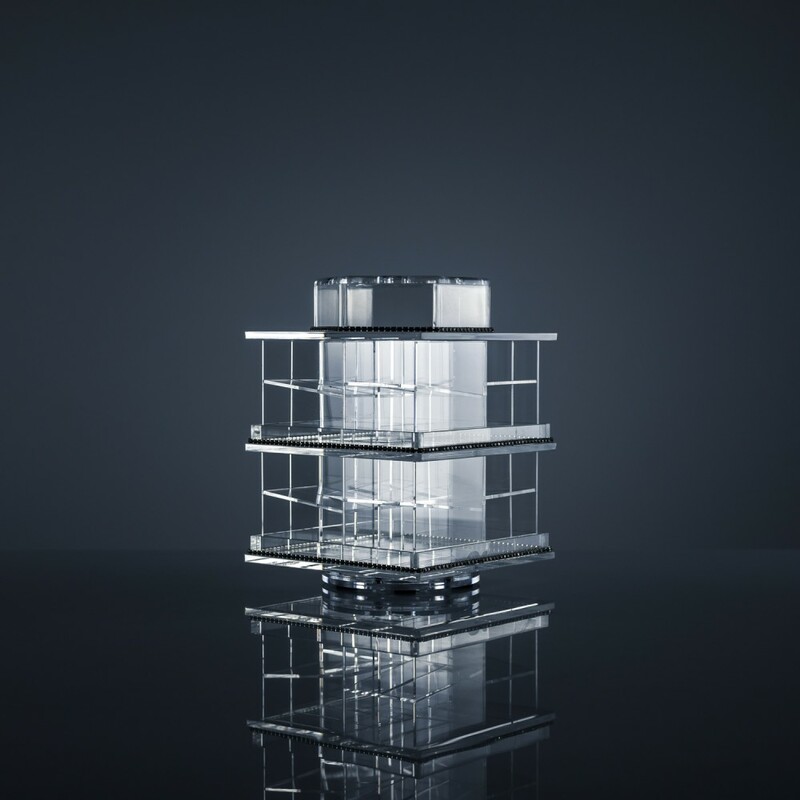 Made from a high quality acrylic base, this useful organizer is popular amongst those who like to collect small objects and pieces. 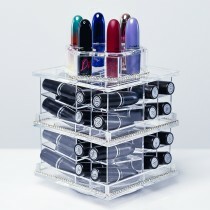 There is no doubt that the US addict in you will fall in love with the functionality and convenience of this lipstick organizer. 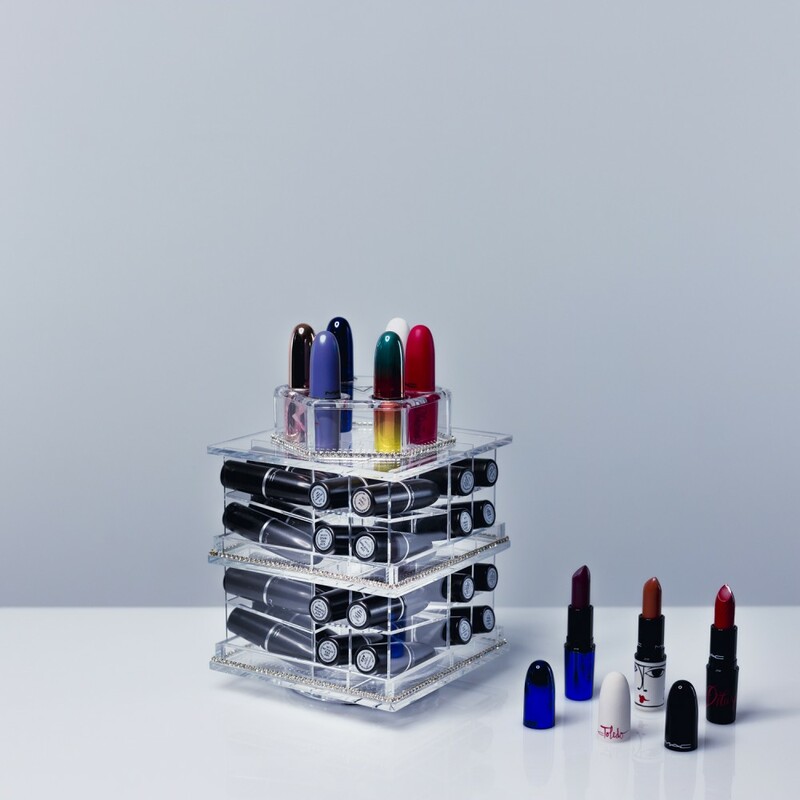 This pretty tower can hold up to a total of 38 lipsticks that can be arranged by colour or according to your preferred brand. 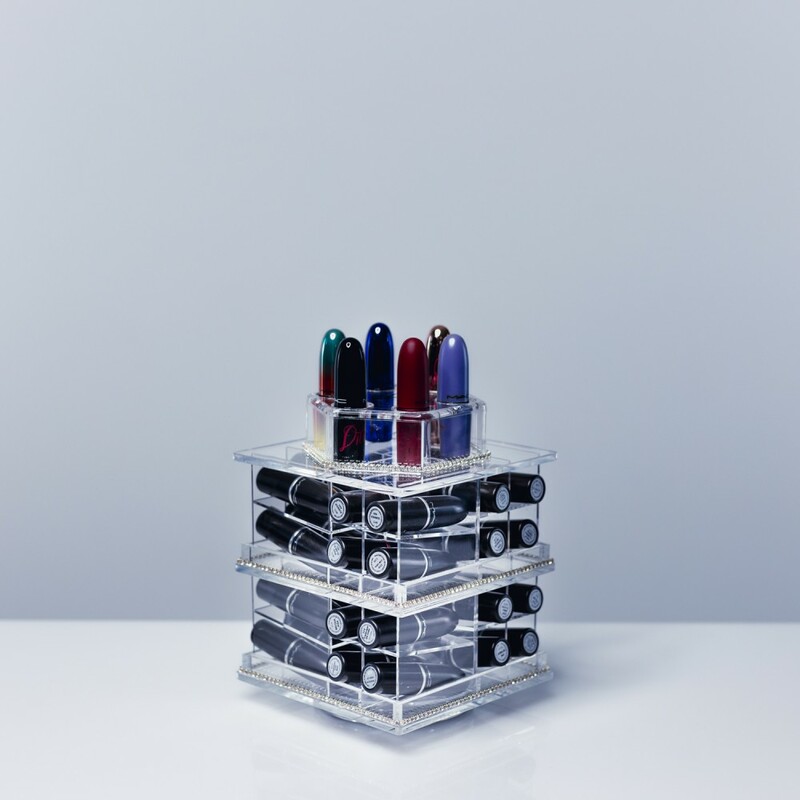 To browse through your personal lipstick collection, simply rotate the tower allowing you to see your makeup from all sides. Now you don't have to lose precious time emptying your purse, handbag or a drawer just to look for your favourite shade of lipstick with this incredible makeup organizer. Depending on your preference and taste, you can choose between the simple classic model and a tower embellished with rhinestones. Definitely, this lipstick tower is an indispensable accessory that would fit perfectly on your bedroom dresser or bathroom.